The PNT Advisory Board (PNTAB) has been trying to protect PNT, particularly GPS, and at the same time accommodate Ligado, a company that has requested repurposing of nearby spectrum. At our November meeting, we reviewed the Ligado proposal and framed a response that will be made public in due time. Meanwhile, these observations and conclusions are my own. 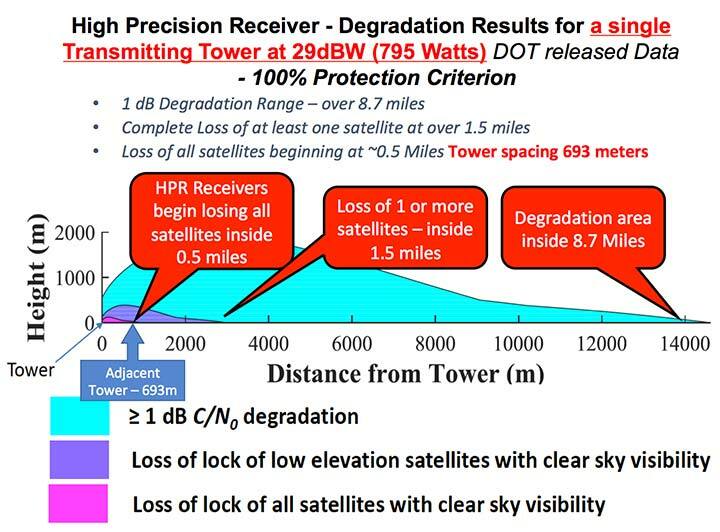 The result: the international 1-dB standard is equivalent to a 25% reduction in GPSradiated power. TABLE 1. DOT ABC test results. 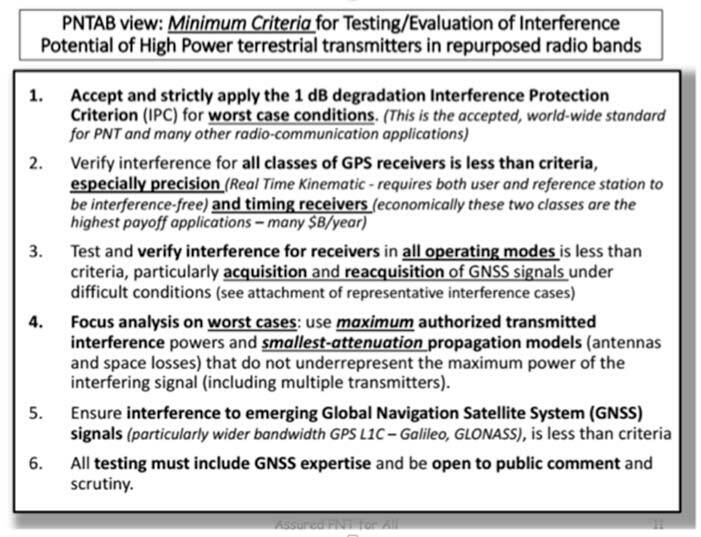 Maximum tolerable effective radiated power (EIRP) for classes of the most susceptible GPS receivers for modified Ligado proposal (P2) of 1.58 kilowatts. In red are the factors that Ligado P2 exceeds the maximum tolerable radiated power. FIGURE 1. Potential impacts on high-performance receivers. Red: loss of lock of all satellites. 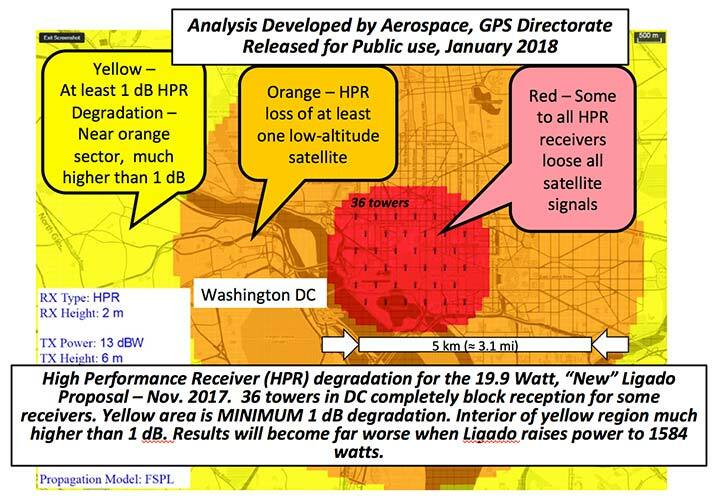 Yellow: loss of lock of low-elevation satellites. Green: 1-dB degradation. TABLE 2. Results of DOT ABC test with Ligado transmitters constrained to 19.95 Watts (13 dBW). This illustrates that the International Interference Limit is exceeded many times over at 100 meters for certain high-precision receivers, highlighted in red. FIGURE 2. Macro urban transmitter, high-precision receiver, 1530 MHz.